Leading Authorized Retail Dealer of rubber sand blasting hose, rubber rock drill hose, rubber pneumatic tool hose and carbon free hose from Kolkata. Rubber Sand Blasting Hose is a quality product that promises quality on the long run. Additionally, we make use of imported inputs that comes for consumption by the industry at a satisfactory level. Our product comes with the promise of extra-thickness and a seamless finish on the edge. We fabricate a wide assortment of heavy duty Rubber Rock Drill Hoses that come to serve a great variety of critical areas of industrial utility. The rock drill hose comes engineered for high-end performance and is ideal for applications in pneumatic, compressors, rock drilling and open cast mines, besides quarries, mines, dams, railway, construction sites, irrigation, and road construction sites. 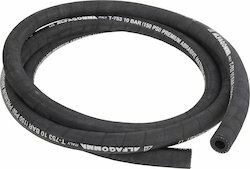 We offer Rubber Pneumatic Tool Hoses. The Pneumatic tool hoses we provide is a product of great popularity for the industry. Composed from the best of input material, our product has found great utility in almost every field and industrial segment. Our product has a promise of durability and is tenable in all given conditions. 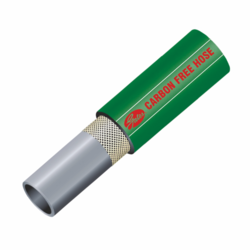 We provide rubber carbon free hoses which are a quality product and comes in full corrosion resistive features for application in the long run. Our rubber carbon free hoses are durable in a variety of applications for utility in the industrial segments. Additionally, we make use of advanced quality control machines to check for the flaws in our line-up. They are widely used in construction and railway sites.